Hello there, can you believe that January is more than halfway over and Valentine's Day will be coming right up? Me neither! Usually I don't go too crazy with Valentine's Day decor. Since it feels like I just took all of my Christmas stuff down (finally!) and my house feels big and open without it. I'm not much feeling like putting up more holiday decorations. But, this year Mr. Chic made me some cute Valentine's Day decor so of course I had to use it. Even with that, I still keep it pretty simple. Mr. 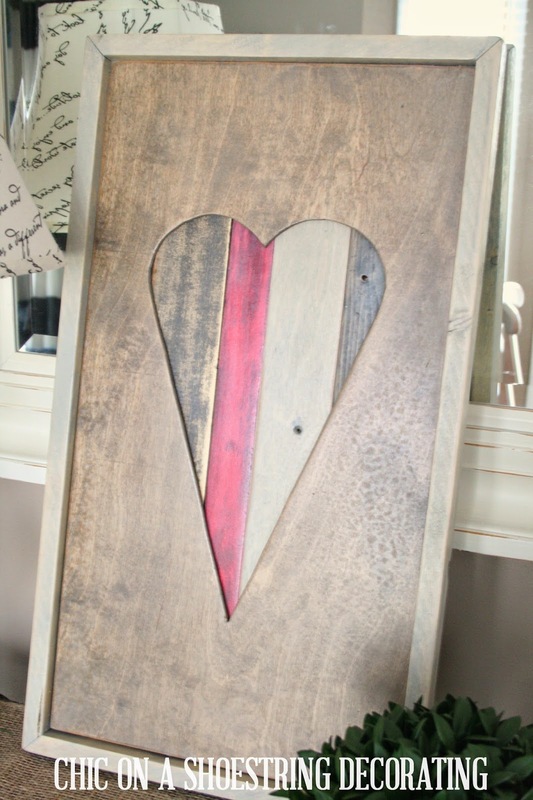 Chic made me this super cute wood heart out of some scrap wood. I think it turned out awesome, he even chose the colors, he's that good ladies. ;) We are planning on opening an Etsy shop in the near future so stay tuned! 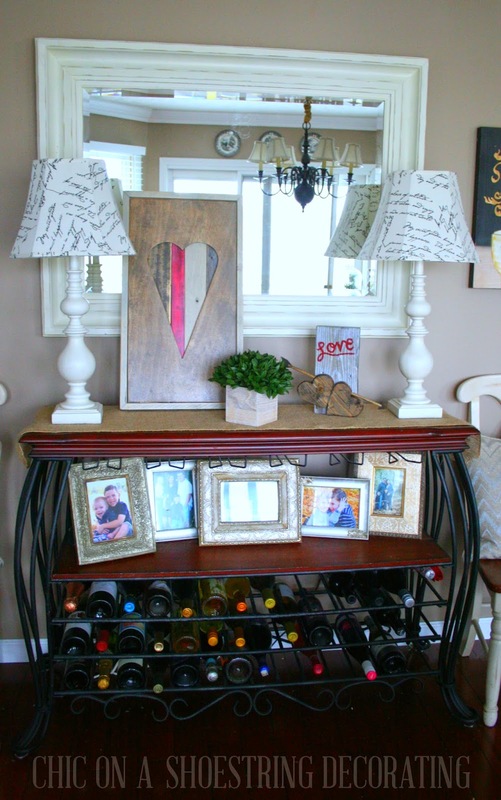 His lovely wood heart inspired me to do a little vignette on my kitchen wine rack. 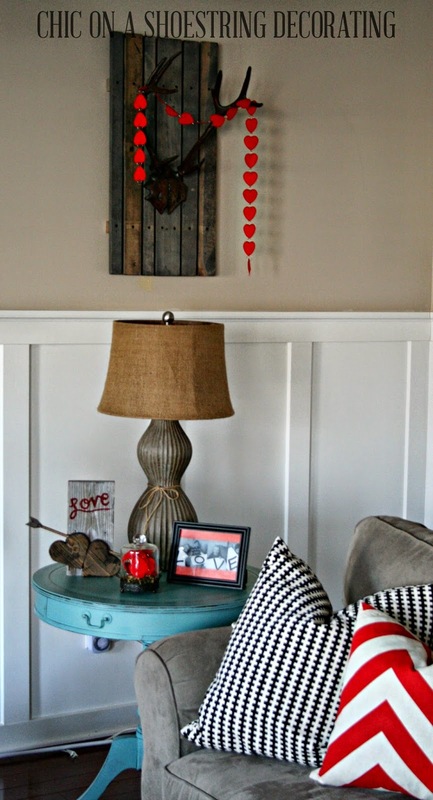 I also throw a little heart love on the mantel. 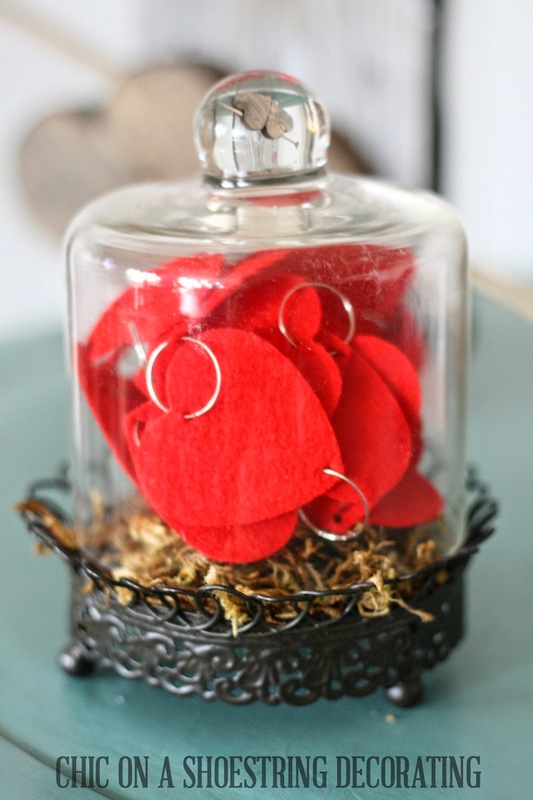 I got the little red felt hearts from the dollar store last year. I wrapped it with some ribbon to make it more substantial. One of my Dollar Tree heart chains broke, (can you believe it? I paid a whole dollar for it last year! 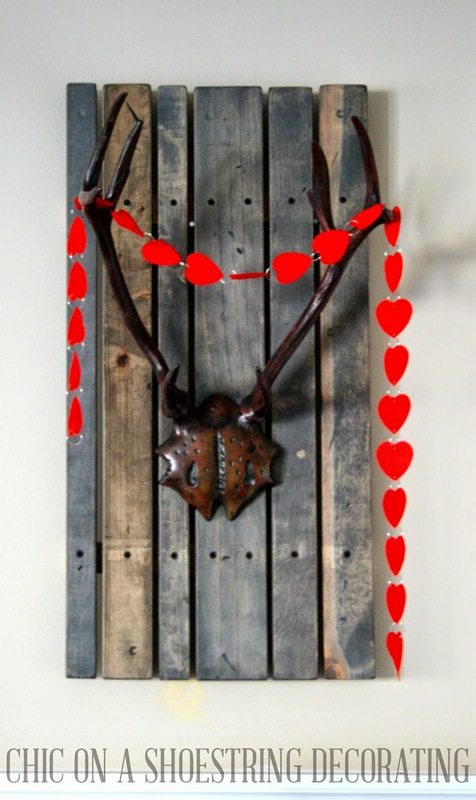 ;) So, I ended up hanging half of it on my antlers. And the other half I stuck under a really small cloche (or dome, whatever you want to call it). 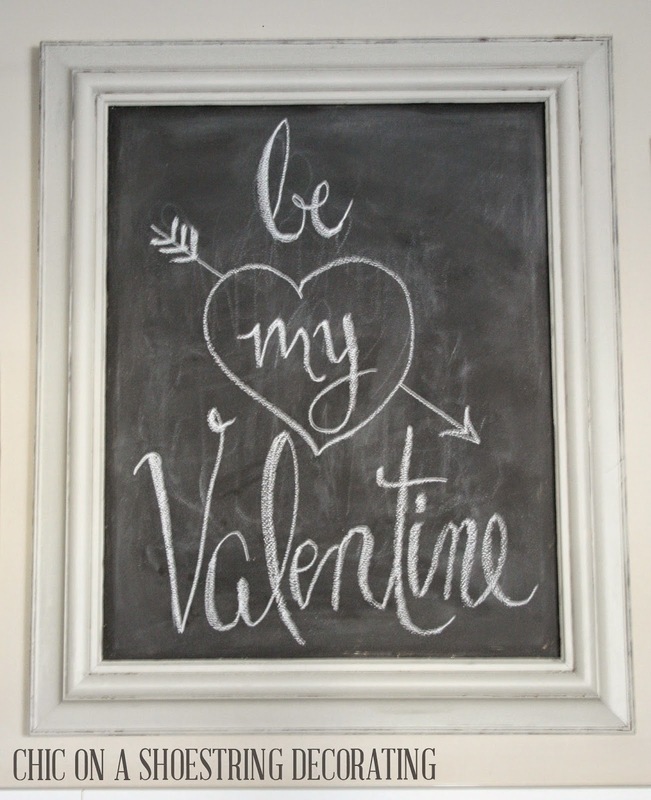 I also took a few minutes to do a simple chalkboard. Mr. Chic also made me this! It is the cut out of the big heart plaque. You can see last year's Valentine's Day decor here. 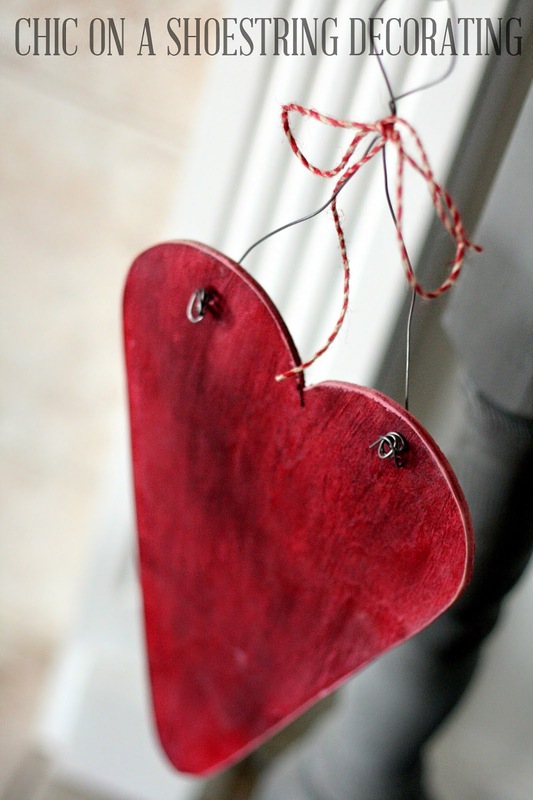 I love that wooden cut out heart Mr Chic made for you, so beautiful. 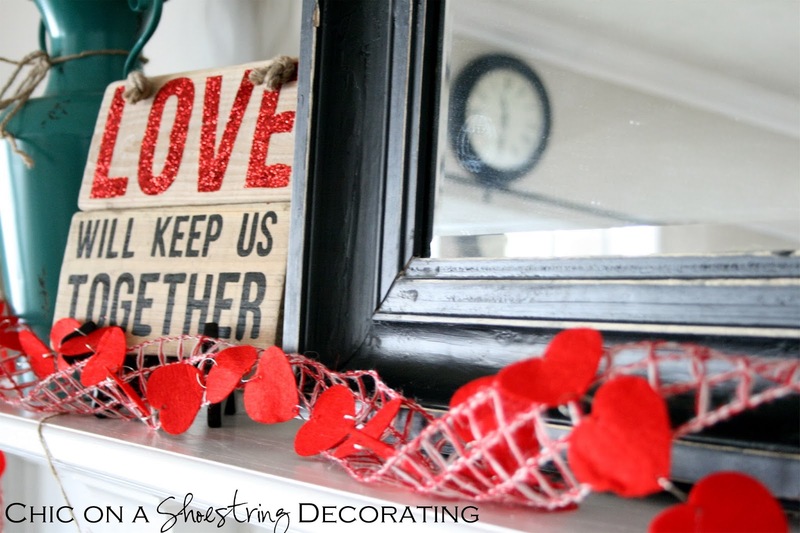 I don't indulge in much valentine decorating but your little corners is just gorgeous! 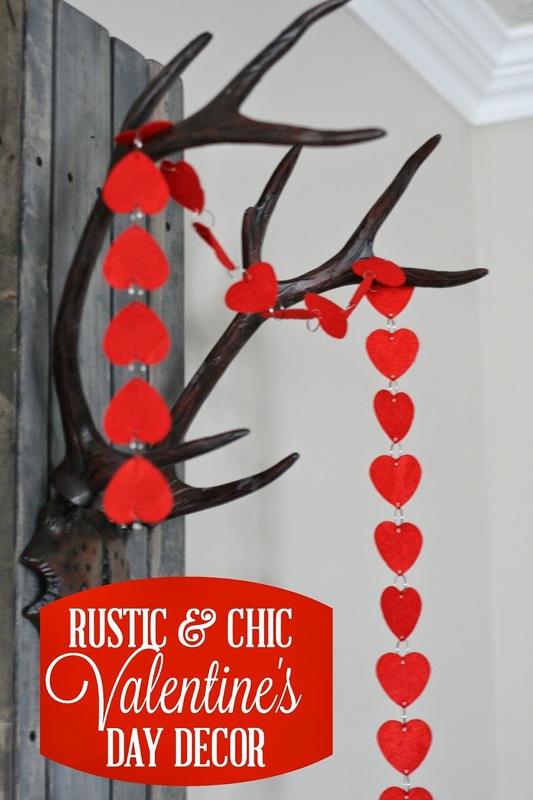 Love these rustic chic ideas! Thanks for posting them. I just put a bunch of them on my Pinterest board Make Mine Rustic.